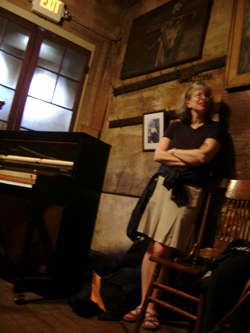 Anne Wilson’s works have been performed at such venues as the Chautauqua Institution, the Aspen Music Festival, the Julliard School, The Museum of Women in the Arts (Washington, D.C.), the Amsterdam Cello Biennale, the Cincinnati Classical Guitar Workshop, and conventions of the American Guild of Organists. Anne Wilson has won first or second prizes in seven national and international organ competitions and holds the American Guild of Organists’ prestigious Fellowship and Choirmaster certificates. She has presented many recitals and workshops at conventions of the American Guild of Organists, the Organ Historical Society, and the Presbyterian Association of Musicians. She has also been featured on National Public Radio’s “Pipedreams” program and Cleveland radio station WCLV’s Not the Dead, White, Male Composers Hour. Mother of grown daughters Rachel and Clara, Anne’s leisure pursuits include playing ping pong and jazz piano, giving docent tours of the Cleveland Museum of Art, reading, and hiking.